The WWE Universe is abuzz with the upcoming Superstar Shake-up which will take place on RAW and SmackDown this week. Last week's SmackDown episode may have led us to believe that The Usos losing their SmackDown Tag Team Championships could be a clear indication that they will be moving to RAW, it is mere speculation as of now. Finn Balor finally had his Wrestlemania moment when he became the Intercontinental Champion for the second time, by defeating The Almighty Bobby Lashley. Finn Balor made his appearance in the Demon form at WrestleMania complete with an elaborate entrance enthralling the live audience as well as the fans watching at home. Finn Balor has been on RAW ever since the brand split and it is high time that the first ever Universal Champion moves to the blue brand to refresh his career and utilize his abilities to the maximum. Brock Lesnar has recently lost the Universal Championship and may be moved to SmackDown Live as he is one of the biggest names in WWE and SmackDown moving to FOX would require some top stars to be part of the Blue Brand. 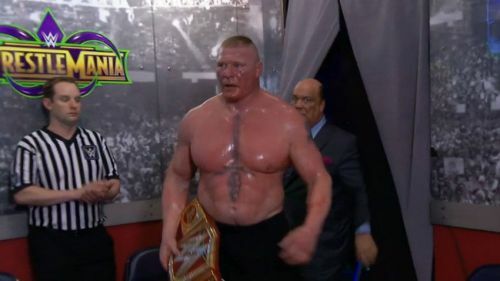 There were many rumors regarding FOX advertising Brock Lesnar as part of SmackDown when it starts airing on the new network in October 2019. With the Superstar Shakeup approaching, the rumors regarding The Beast Incarnate's possible switch to SmackDown Live are becoming stronger.